Although both dry and wet age-related macular degeneration (AMD / ARMD) will result in painless loss of visual acuity and central vision, their treatments vary significantly. This is because the way the macula is damaged is different in these 2 types of AMD. In atrophic or dry AMD, the cone photoreceptors at the macula stop working, undergo degeneration, and eventually die. This process is called atrophy. In exudative or wet AMD, the macula structure and function become disrupted due to blood and fluid leakage from abnormal new blood vessels (choroidal neovascularization / CNV). Diagram demonstrating the difference between a normal macula, and those with dry and wet age-related macular degeneration. Unfortunately at the moment, there is no effective way to treat dry age-related macular degeneration. 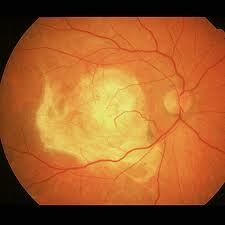 This is because dry AMD does not involve the growth of abnormal new blood vessels. Research is underway to try and find out why the cells of the macula stop working and die, but no dry AMD treatment breakthrough has been achieved yet. However, there is some evidence that high doses of vitamin A, C, E and the minerals zinc and copper may slow the progression of dry AMD, especially when taken together. The pigments lutein and zeaxanthin, omega-3 fatty acids and antioxidants found in berries (such as bilberries and chinese wolfberries) may also confer additional protective effect. These may be more effective if you already have changes to your vision because of AMD in one eye. 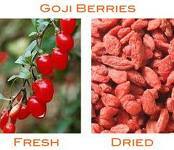 Chinese wolfberries (lycium barbarum), also known as goji berries, are thought to provide protection to the macula from dry AMD due to their high concentration of pigments and antioxidants. It does not make any difference whether you take fresh or dried wolfberries; both are considered equally beneficial for your eyes. There are a number of high-dose vitamin and mineral products available that have been designed with the AREDS formula for people with AMD. You can usually buy these over the counter from your chemist. However, there is no evidence that taking high doses of these vitamin and minerals will stop you from developing AMD in the first place. There is also no evidence that any one of these products is superior to the other. 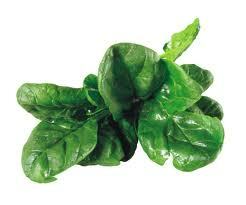 The very least you can do for your eyes and macula is to have a balanced and healthy diet. Eat plenty of fresh fruit and brightly coloured and leafy green vegetables, all of which are rich in antioxidants and pigment that the cells in your macula need to function properly. Not only will this diet be good for your general health, but may also protect you from AMD. 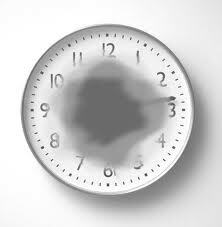 A number of treatments are available for wet age-related macular degeneration. These mainly work by stopping the growth of the abnormal new blood vessels choroidal neovascularization) at the macula. It is vital that the treatments are given fairly quickly once these abnormal new blood vessels start to grow to prevent scarring of the macula. Once a disciform scar forms (left), the structure of the macula becomes permanently disrupted and the central sight loss becomes permanently irreversible (right). The most effective (and expensive) treatment available for wet age-related macular degeneration is with injections of anti-vascular endothelial growth factor (anti-VEGF) into the eyeball. Anti-VEGF treatments have a high success rate and are able to prevent worsening of the eyesight in most wet AMD sufferers. In 40%, there is an improvement in central vision. 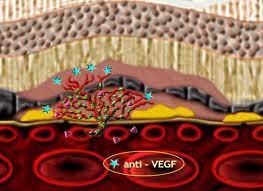 Anti-VEGF drugs work by interfering with chemicals that stimulate the growth of these abnormal new blood vessels. By stopping these abnormal new blood vessels from growing and leaking, further damage to your sight is prevented. The four currently available anti-VEGF drugs are Aflibercept (Eylea), Ranibizumab (Lucentis), Bevacizumab (Avastin) and Pegaptanib (Macugen). Anti-VEGF drugs work by inhibiting the action of chemicals (such as cytokines and growth factors) that stimulate the formation of the abnormal new blood vessels. 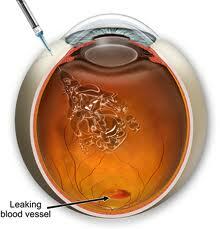 Anti-VEGF drugs have to be injected into the vitreous cavity or back portion of the eye (intravitreal injection). 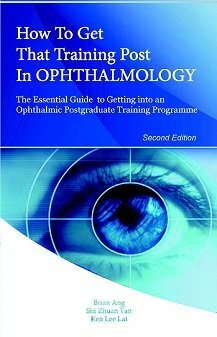 Anti-VEGF injections are usually given in an operating theatre or in a clean room. Before the injection, you will be given dilating drops to enlarge your pupil, anesthetic eye drops to numb your eye and antiseptic drops to reduce the risk of infection. A clip will be used to keep your eyelids open. The injection itself takes no more than 5 minutes and shouldn't be painful although you may feel a slight sting or scratch. Your eye may feel slightly sore after the anesthetic effect wears off. Usually you will need more than one intravitreal anti-VEGF injection. Normally, a course of three injections over 3 months (one injection every month) is given to start with. Thereafter, you will be monitored every four weeks to check that the treatment is working. Once blood, fluid or active choroidal neovascularization are detected again at the macula (either on clinical examination, fluorescein angiogram or optical coherence tomography), you will need to under a repeat injection. Many people go on to have more anti-VEGF treatments after these initial three injections. Complications of intravitreal anti-VEGF injections are uncommon and occur in less than 1% of the time. If a complication happens to you, treatments are usually available to fix any problems that arise from it. The main complications of this treatment are raised eye pressure (potentially leading to glaucoma), cataract, retinal detachment and eye infection (infective endophthalmitis). 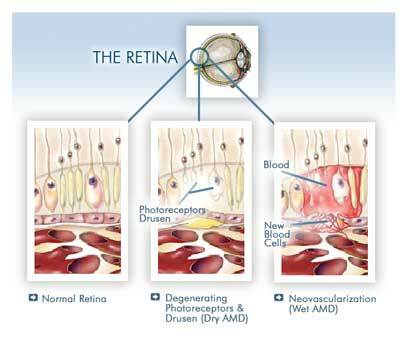 Photodynamic therapy (PDT) with verteporfin is another option for the treatment of wet age-related macular degeneration. Intravitreal anti-VEGF injections are the first-line treatment for wet AMD, but sometimes it may be necessary to try PDT may be necessary. PDT is a type of laser treatment which uses a combination of a light sensitive drug (verteporfin) and a low energy laser to stop the abnormal new blood vessels from growing. 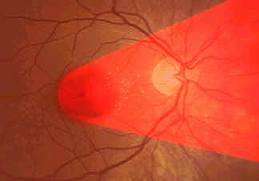 In photodynamic therapy for wet age-related macular degeneration, verteporfin has to be injected into the bloodsteam first (left) before the laser is shone onto the site of abnormal new blood vessel growth (right). In PDT, the light sensitive drug verteporfin is given as an infusion into your bloodstream through a vein in your arm. When the drug reaches the site of abnormal new blood vessel growth (usually 15 minutes after the start of infusion), a non-burning low energy laser is targeted onto the macula with a special contact lens for 83 seconds. 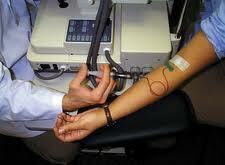 The laser causes a reaction with the drug which seals off any abnormal new blood vessels that may be growing. As with anti-VEGF treatment, PDT also needs to be given as early as possible to prevent irreversible damage and scarring from the choroidal neovascularization.